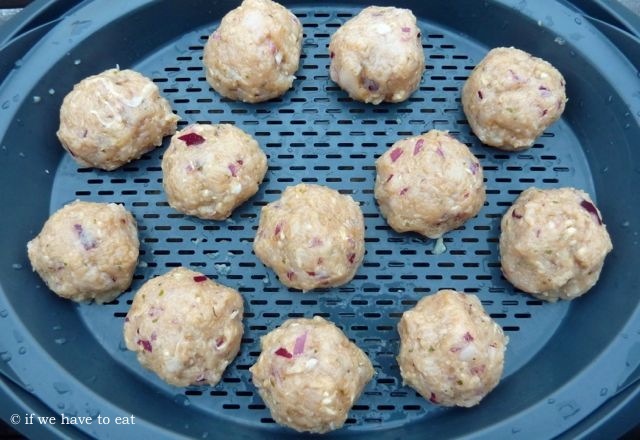 The first time I used the Thermomix to steam meat was for the Vietnamese meatball recipe on the Thermomix Recipe Community. 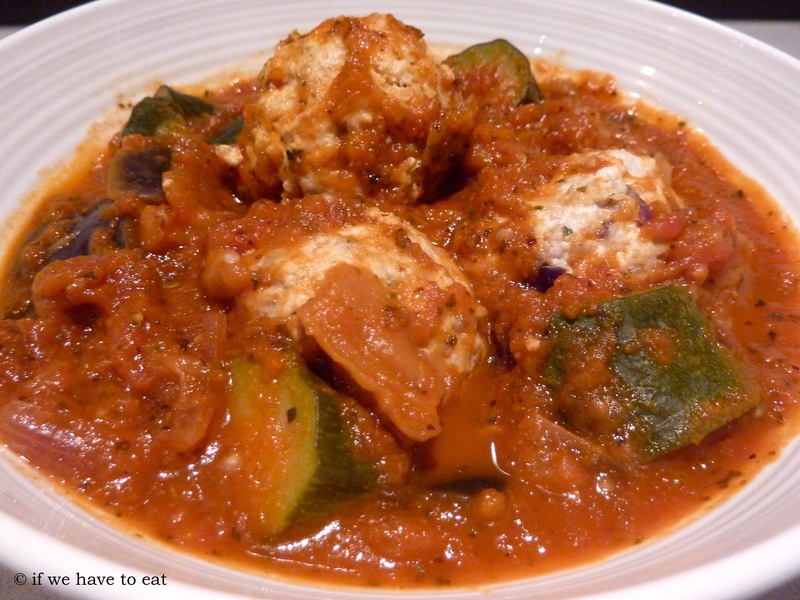 I’ve used this as inspiration for this Italian-style meatball dish. I like to keep my red meat intake to once or twice a week, so I’ve used chicken breast here. Instead of breadcrumbs, I’ve used finely chopped mushrooms. The ragout is a rich sauce designed to provide the vegetable content for the dish. This entry was posted on May 26, 2013 by ifwehavetoeat in Mains and tagged Feed a Few, Mains, Make Ahead, Poultry, Recipe, Thermomix, Varoma, Vegetables.